Plastic pollution has been a widely talked about topic in this country this summer. This summer was the “Summer of the Straw” starting with the European ban on the plastic straw. This sparked movements all over the world to reduce the amount of plastic waste generated and hauled away each year. While local legislation stands in the way of a ban of the use of plastic bags, cups, and other products local groups like The Suncoast Rise Above Plastics Coalition fight to stop the use of plastics. 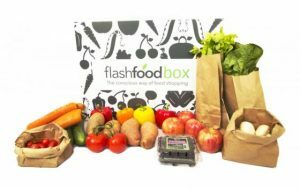 The Suncoast Rise Above Plastics Coalition is 20 different groups who all come together to make sure local businesses and food establishments are not generating excess waste. Plastic waste on the ground is not just a problem for the land. The problem then spreads to Tampas beautiful waterways. When waste is littered it is caught in drains or is blown into these bodies. Water pollution does not mean pollutants were necessarily put directly into the water. Plastic littered on the streets can and will often be taken to the sea. The Suncoast Rise Above Plastics Coalition awards local businesses who ban the use of plastics with their “Ocean Friendly” certification. 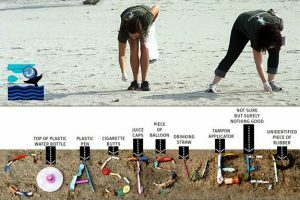 By doing this they hope to change the pollution issue by making these choices about plastics culture. If people can make habits out of reducing waste the world will begin to see a rapid decline in pollution stats. The waste and pollution issues in Tampa reach beyond much further than just the plastic straw or the plastic bottle. It starts with the people and the laws that the people follow. The only way to bust down these issues is to make advances in legislation. Without the laws holding big businesses to strict pollution guidelines, the issues will contain to occur. It’s the decisions and things set in motion today that guarantee a clean and sustainable future for tomorrow. In recent years Pittsburgh has undergone a transformation moving away from textile and manufacturing jobs, and become more focused on technology and innovation. One of the main reasons for this change in identity was to reduce the air pollution and overall amount of trash found on the ground, and to make Pittsburgh a green and vibrant city. Pittsburgh has made great strides in becoming a clean and green city. Pittsburgh progress has not gone unnoticed, in 2008 PIttsburgh was selected to host the G20, due to the fact that had made significant improvement to its air pollution and overall quality of living. Even with these encouraging reports, there is still work that needs to be done. 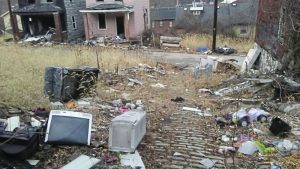 In a recent survey it was reported that Allegheny County, the county in which PIttsburgh is located, had over 486 illegal dump sites. The location of these dump sites tends to be in close proximity to residential houses and waterways, with ¾ of the dumpsites located near low income or vulnerable groups. The illegal dump sites not only look bad, they also result in reduced home values. The illegal dumpsite are made of construction debris, yard waste and tires. When all of the junk and trash from 486 dump sites was counted, it weighed a staggering 1,200 tons. The sheer weight of the waste site is cause for concern, not to mention that there were over 20,000 tires in the dumps, that could be reused and repurposed. This problem can be easily resolved with the proper use of trash can and dumpsters. Not only will they keep the street junk free but the trash inside the containers will be collected and taken to the appropriate spot, leaving residents with a clean and beautiful site. Luckily there are groups willing to combat this issue, such as the Tireless Project. The Tireless Project was found in 2003 to try and reduce the amount of junk and debris from the Pittsburgh riverbanks. They are always looking for people to continue to help them maintain Pittsburgh’s beauty, click here to get more information about the group. A group affiliated with the Tireless project is the Dump Busters. The Dump Busters group is a grassroots organization, that is hoping to encourage local residents to stop being the problem and instead become the solution. The goal of the group is clean up illegal dump sites, with the help of local volunteers. Through their long hours and hard work, the Dump Busters have been able to significantly improve the looks and quality of Pittsburgh’s rivers. Sometimes you don’t think twice about what you’re tossing in the trash. According to the EPA the average American throws away about 4.4 lbs of trash per day. Wrappers, plastics, and other waste gets disposed into trash bins every day; all to be hauled away and dumped into a landfill. Arizona State University has conducted many studies analyzing plastic waste production and its effect on the environment. They have discovered that certain plastics and rubbers we come in contact with everyday like contact lenses, plastic wrap, balloons, and even dryer lint can take up to 400 years to degrade. There truly is only one solution to this and that is to begin to put an emphasis on recycling. If we can make habits out of green practices we can put a large dent in the waste that is created everyday. Scientists in Phoenix, AZ are hungry to search for a new way to reduce the harmful effects pollution has on their city. Water test samples from a polluted site near 38th St. and Indian School in Phoenix showed high levels of tetrachloroethelene, also known as TCE, pollution. They tried various methods to reach unpolluted levels from the water samples at this site. When traditional vapor extraction methods failed to yield the desired results; a new chemical oxidation injection was tried. The Arizona Department of Environmental Quality officials reported the contaminated site was now “cleaned up”. Pollution of plastics isn’t the only concern in Phoenix. Air pollution is a huge issue in Phoenix. Air pollution is a horrible form of pollution that affects daily life of all people in polluted areas. Phoenix is one of the worst areas for air pollution in the US. The “Brown Cloud” has been over the county since the mid 1990’s. This cloud of pollution is caused by fossil fuels people create using vehicles that burn fuel. The cloud is always growing due to the widespread frivolous use of fossil fuels. The pollution is particularly bad in Arizona due to the climate and geography. The way the desert heats and cools coupled with the wind gust that comes through the valley near Phoenix the “Brown Cloud” forms over the city. Philadelphia is just like any other city in America or the world for that, in the fact that there is garbage and trash laying around on its streets. However, Philadelphia has the misfortune of being nicknamed “filth-adelphia”. This is due to the fact that it was reported that Philly had 1.5 million tons of waste. Meaning that on average a single resident produces a ton of waste per year. Local residents and city officials are attempting to get rid of the nickname through new citywide litter cleanup initiatives. The Philadelphia government recently announced an ambitious goal of becoming litter free by 2035. 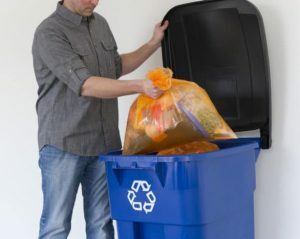 In order to achieve this lofty goal city officials are hoping that Philacycle and Zero Waste Philadelphia, local waste management programs, continue to thrive. Philacycle is a organization that encourages local residents to help reduce the amount of litter and waste on the streets of Philadelphia. The program allows individuals the ability to earn rewards based on how much people help clean up Philadelphia. Feel free to click here to continue reading about Philacycle. 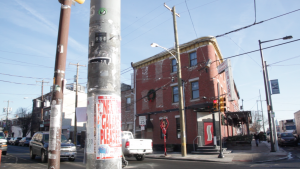 One of the biggest problems that Philadelphia is facing has to do with illegal signs and posters. The Zero Waste and Litter Cabinet of Philadelphia is looking to combat this problem through creating incentives from residents to remove illegal signs. June was the first time that Zero Waste Philadelphia organized a communal street and litter cleanup, with volunteers receiving money for every illegal sign that they removed. If you miss this waste event and are interested in attending future city cleanup events go to the Clean PHL website. The final way that Philadelphia is attempt to limit street side waste is through the use of a litter index. The litter index is used to identify which locations have the most litter. In addition to the index, Philadelphia also analyzed behavioral analysis, to try and understand why residents put the trash where they do. This information allows city officials to have a better understanding of the issue. With this knowledge, the local government will be able to properly allocate and use their resources to target areas with the highest amount of litter and garage. Omaha, like many other big cities, is facing the challenge of limiting what goes into their landfills. Recycling programs have been in full swing with limited success, and still there is an excess of junk and trash. Unlike many other cities, instead of sitting back and ignoring its waste problems, Omaha has decided to go out and spearhead an innovative solution. Starting in 2016 local communities began using Orange Hefty bags to recycle materials that normally would not allowed to be recycled. To put that into perspective it has been reported that 14 tons of materials have been kept out of a landfill because of the Orange Hefty bag program. Click here to see which items you can place in the orange bags. Another organization that is striving to clean up the streets of Omaha is Keep Omaha Beautiful. The program is looking to collect types of plastics and other materials that currently are not being collected by the city trash collectors, and having those items get sent to a “cement production plant near Kansas City where the material gets burned in their furnish.” While this solution has a limited effect on air pollution, it does reduce the amount of trash that ends up in our landfills. Any resident who is looking for ways to improve the Omaha community should look no further than this website for more information about future innovative ideas or litter cleanups. 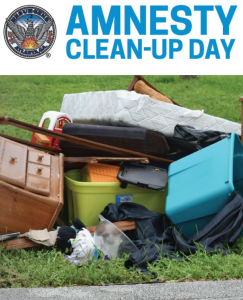 Residents are encouraged to help clean up their mess and be part of the waste solution. The city of Dallas, like many other large cities, hopes to eliminate most of its solid waste by 2040. This makes Dallas Texas’ 2nd city to have a zero waste plan. Austin, like Dallas, plans to be recycling 90% of its waste by 2040. Dallas hopes to be recycling 84% of waste by this time as well. Cities like Dallas making these great plans to do things to recycle solid waste paves the way for other cities to do the same thing. 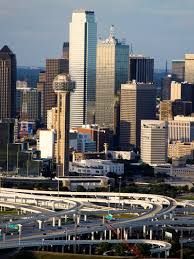 If Dallas can do it, why can’t any American city? Dallas city council made these plans official August, 22, 2012. The city still has many more steps to implement before they can reach their goal. More and more issues begin to stir each day. Population rises and landfills continue to fill up more and more. This is a problem for Dallas. Government officials need to begin to make these effective steps towards zero waste because the clock is ticking. The plans could include making recycling options more available to city residents. According to the Dallas City Council if all Dallas businesses and residents recycled effectively it would remove roughly 1.7 million of the 2.2 million tons of solid waste sent to the fill each year. Waste starts with the consumer. If the people are informed about recycling, and how and where to properly dispose solid waste, the issue will begin to resolve itself. Before zero waste is achieved many other cities and places have plastic bag, cup, and straw bans. It falls into the lap of people in power to work together with residents and businesses to cut down on waste. Simple legislation like a ban on harmful plastics can truly help a lot. Dallas leads the country in waste production. This is a serious problem for the future of sustainability in that area. Change can occur and this waste can be redirected, properly, to recycling centers. The use of harmful plastics is a leading cause. Bans on these plastics will put the future of sustainability in the cross-hairs for a big southern city like Dallas. Without the support of the government it is impossible to educate the people on achieving zero waste. We hope to continue to see action and support from the Dallas city council on their zero waste goal. Local cleanup organization Litter Free Dallas is a group the organizes cleanups around the Dallas area. They offer many different things to the community. Litter free Dallas organizes cleanup volunteers, lends equipment and tools for local cleanup, and even gives citizens a place to report waste law violations. They even provide in Organizations like Litter Free Dallas are instrumental in cities with zero waste initiatives. Zero Waste Chicago has quietly sprung up in Chicago. In recent years Chicago has seen its fair share of improvements and success stories, such as the Cubs breaking the curse and the Blackhawks winning a few of Stanley cups. However there is an ugly problem that Chicago is facing that no one wants to talk about, the state of it’s rivers. Currently, the rivers of Chicago are constantly getting filled up with trash and tires. This has two major consequences, first it negatively impacts any animal that is living near the river, and secondly, the litter in the river becomes an eyesore. Fortunately, there are several local groups and organizations that are attempting to combat this problem. Zero Waste Chicago is a grassroots environmental organization who is working with local residents to reduce the about of waste and litter that is left in the streets and rivers of Chicago. This group understands that Chicago has a long way to go to become a clean and green city and is attempting to get community members involved in the cleanup process. Zero Waste Chicago realizes that having multiple small clean up projects can go a long way. If you are a local resident and are interested in volunteering at future events click here to learn more about Zero Waste Chicago. 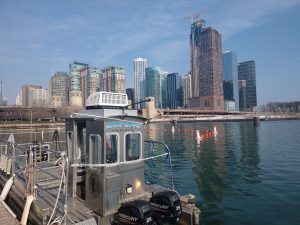 Another way that Chicago is attempting to clean its rivers, it through the use of two boats. Currently, there are two boats who carry a large net and sift through the water and collect litter and trash from the bottom of the river. On average each of these boats collects 100 yards of waste per year. While the boats clearly do a good job of helping maintain the river ecosystem, it is also important for individuals to do their part and stop throwing waste and tires into the river. Thankfully, that is exactly what people from Chicago are doing. Just in this past year a large volunteer effort to clean up the local rivers had over a thousand individuals participating. To learn more about how you can help clean up Chicago click here.